Une cassette de musique pour la danse du ventre de la célèbre Souhair Zaki. Merci à Hammer pour le commentaire. Le mystère est levé... et quelle belle musique ! 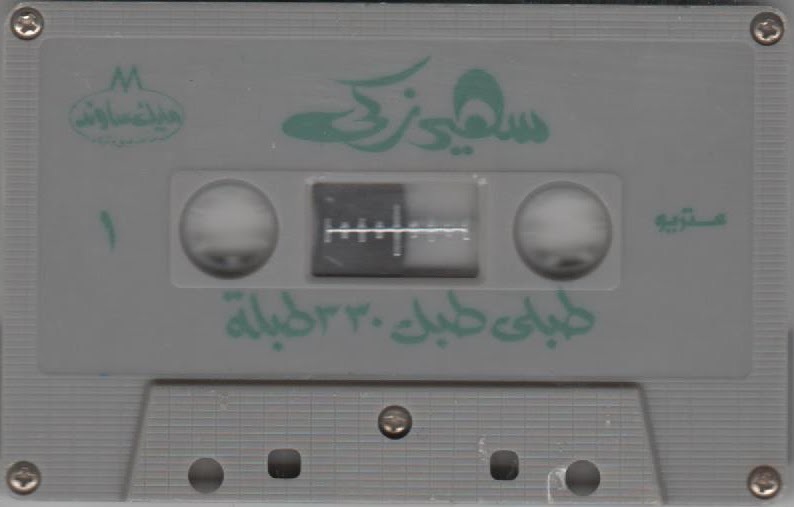 This is a rare compact-cassette featuring the female bellydancer; singer, and actress-entertainer numero uno Souhair Zaki (also spelled, Soheir Zaky). 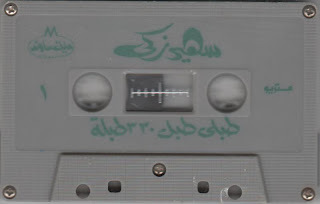 The date of the manufacture is probably the late 80's, but the music for this album (Title: Tabbely Tabl; 330 Tablah), dates back to her 70's dancing routine when she was Egypt's paramount peformer and dancer nonparellel. She was known as the 'call-girl' of many wealthy Arabs, and she's famous for dancing in front of Richard Nixon during a state visit to Egypt in the 70's, and having danced in Omar Kourchid's wedding party in 1970. Here is her fanspage at Facebook: Soheir Zaki. Another album (this time, older than the one available here, and has pan-Arabic themed dancing tunes), can be downloaded from Yala.fm here.